On the occasion of the International Women’s Day today, Lucknow Metro in association with HUMSAFAR (support centre for women), NCC( Navyug Girls College), Power Wings and SHEROES Hangout organised an event titled ‘NAARISHAKTI’ at the Charbagh Metro station to sensitize women Metro passengers on the issues of safety and security, women empowerment, gender equality etc. Shri Mahendra Kumar, Director (Rolling Stock & Systems), Lucknow Metro welcomed all the female volunteers and guests from these organisation and urged them to spread their message in ‘Metro’ for creating a more aware and safer world for the women. Volunteers from HUMSAFAR (support centre for women), NCC( Navyug Girls College), Power Wings, SHEROES Hangout etc. participated in the event in LMRC to demonstrate the women oriented issues of today’s challenging world. 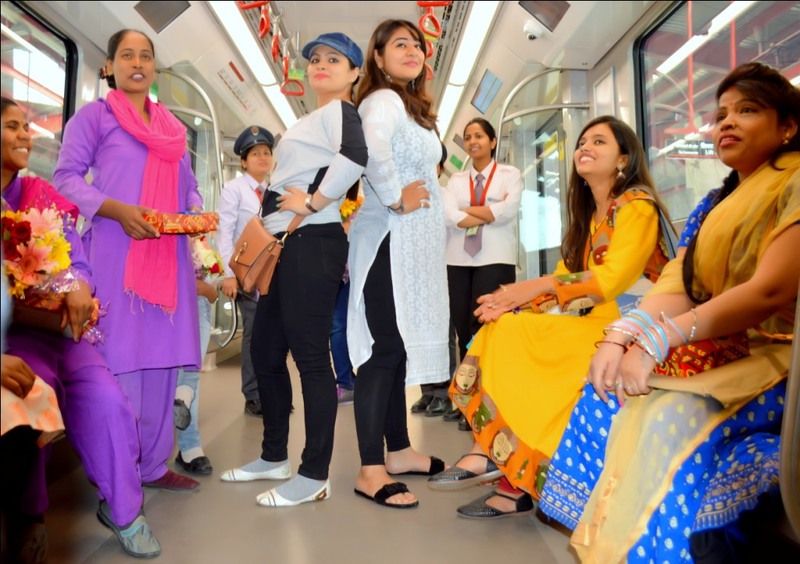 They travelled in Metro between Charbagh and Transport Nagar to raise awareness among the travelling female passengers inside the Metro train. All the female volunteers from these groups also tried to spread the message of the United Nation’s 2018 theme “Time is Now: Rural and Urban activists transforming women’s lives”.